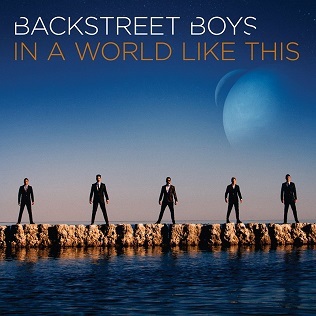 We’ve got a special place in our hearts reserved especially for the Backstreet Boys. They’ve been there ever since Quit Playing Games With My Heart and each and every single they release just cemented their position even more. Their last questionably named single Permanent Stain was a re-launch of the Backstreet Boys brand but it didn’t really take off..
they should have launched with this. In A World Like This is an amazing piece of Pop music – the boys back to what they do the best. What’s more amazing is their new video. In A World Like This chronicles 3 key events in recent history – the moon landing, September 11, and something more recent and something we hold very close to our hearts here at SCP. We’re not going to tell you what it is, we think you should watch it yourself because not only will you see a pretty amazing video, you’ll also hear a fantastic song – check out In A World Like This here now..!